When Facebook engineer Eric Faller introduced the social site’s new interest lists on Thursday morning, I thought, “Finally, a little more personal control over what flows through my news feed.” And this much is true. The new Facebook feature will allow users to select specific public figures and pages in order to generate different feeds that are focused on a user’s chosen set of topics. Once an interest list is created, users can choose whether to keep it private or making it public, allowing other users to subscribe to the same feed. Described as “a whole new way to keep up with stuff you care about and tidy up your experience on Facebook,” these new interest lists—at least for users who have grown weary of other updates that have eroded user autonomy—are a breath of fresh air. At the same time, however, interest lists aren’t exactly new, as Faller suggests—at least not to the social media world. Instead, it seems the latest Facebook feature was done with Twitter in mind. Long have Twitter Lists provided a convenient method for managing the onslaught of tweets that would otherwise overwhelm our Twitter feeds. 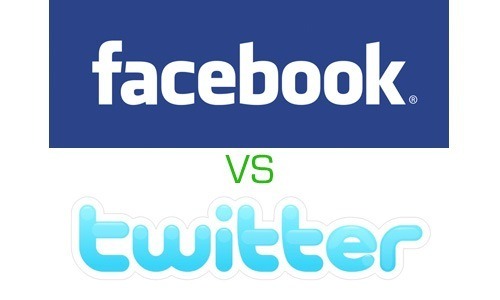 It should be unsurprising then that Facebook would want to follow Twitter’s lead and even try to make improvements on that model with its more versatile user interface. According to TechCrunch’s Josh Constine, however, Facebook’s addition of this new feature goes beyond merely playing catch-up. In fact, he sees it as a well-calculated blow to the microblogging site. I, on the other hand, am not so sure. Granted that may be Facebook’s intent with the release of interest lists, but I’m still not convinced that Twitter and Facebook are the direct competitors that they’re often thought to be. While the forced concision of messaging on Twitter typically makes it serve better as a portal to other destinations than as a central hub for compiling, storing and discussing all of one’s interests, Facebook is just the opposite. Yes, links to other destinations are shared quite frequently on Facebook too, but the experience is much more wide open than anything Twitter claims to be, or even cares to be. That’s why so many people don’t just have an account on either Facebook or Twitter. They maintain accounts on both sites. For one of these sites to undermine the long-term viability of the other would be to compromise its own unique experience.